This article was posted on December 2016, but it was erased by mistake when our website was renewed. Therefore, we have reposted on October 5th, 2018. Potentiometer and encoder are both electromechanical devices that can measure position. The difference is that the potentiometer outputs analog signals whereas the encoder provides digital signals. 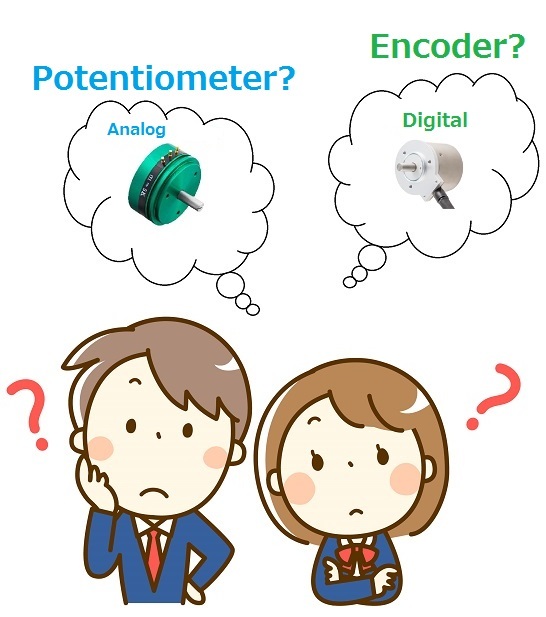 Generally speaking, potentiometer has a shorter life and low accuracy compared to the encoder. But would that make encoder the best choice for all occasions? 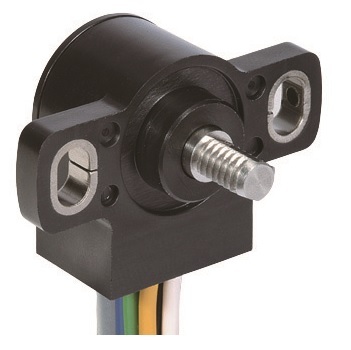 If you are currently using an encoder with standard 10-bit resolution, its accuracy is roughly the same as the potentiometer with linearity ±0.1%. Many encoder users find it troublesome with its specific requirement for installation. If decentering or backlash of shaft occurs, it can lower the accuracy down to 2 to 3 bit. In that case, potentiometer has a higher accuracy, even including repeatability over encoder with 14-bit or less resolution. Encoders with 16- or more bit resolution are now available in the market. Evidently, its position measurement is by far more accurate than the potentiometer. However, higher resolution means lager housing outer diameter. The potentiometer on the contrary, maintains its outer diameter regardless of the accuracy level. Not to mention that contactless potentiometers can be applied in considerably small-scale design. When we compare life, conductive plastic potentiometer and other compact type potentiometers may have a shorter life. 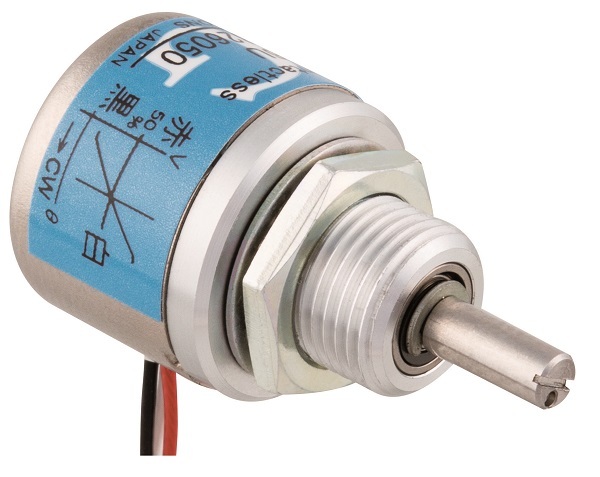 But contactless potentiometers such as Hall-IC and MR-element potentiometers have a longer life, very much like the encoder. Commercial and industrial machinery operated with digital signals are becoming more dominant. It is inevitable for higher demand and enhancement of technical innovation for the encoder. Despite all the digitalization, potentiometer still has the following merits over encoder. Potentiometer produces a sufficient amount of output without using the amplifier. Potentiometer can be wired with 3 terminals. Simple wiring. Potentiometer is easy to install. For encoder, even a slight misalignment of the shaft causes the decrease of accuracy and increase of hysteresis. 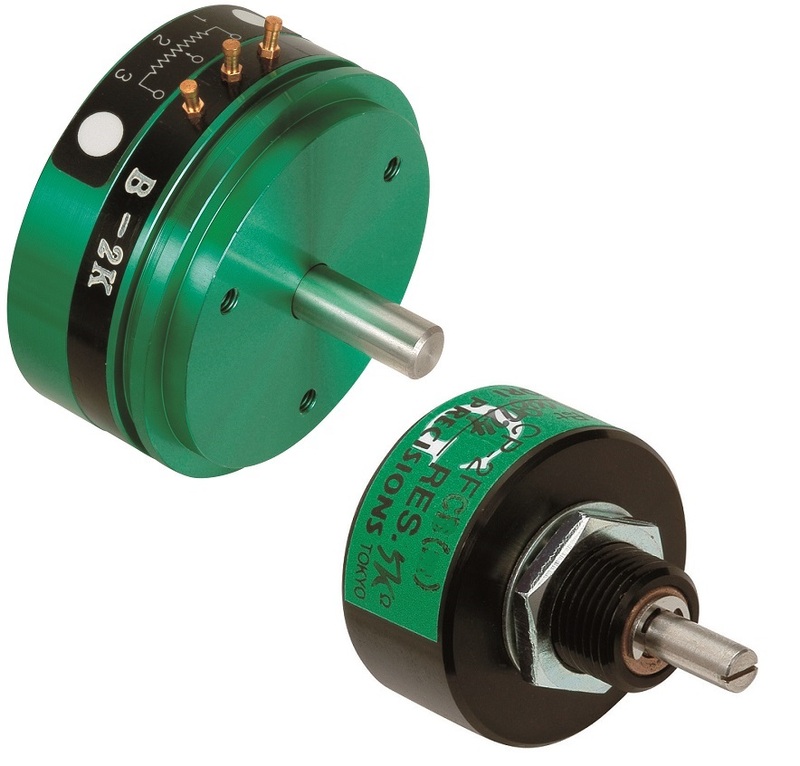 Potentiometer is smaller in size and has a superior ability in measuring narrow angles. The unit cost of potentiometer and accompanying circuits are inexpensive. When you recall all the merits of the potentiometer, there are times when it is best to use potentiometer rather than encoder. You can even apply these two devices together, using the potentiometer as a backup for the encoder to draw the machine’s maximum capacity.